I've been a fan of broadcast journalist Ian Hanomansing ever since I first watched him on CBC Vancouver as anchor of Canada Now. He went on to co-anchor CBC News: Vancouver with Gloria Mackarenko, and earlier this year become a reporter and occasional host for The National. I saw Ian in Vancouver a number of years ago while attending a fundraiser for the Vancouver Art Gallery. He was outside waiting for a cab, and as often happens when you see TV or movie personalities up close, his height was somewhat of a surprise. Yes, he was a bit shorter than I expected him to be. Ian Hanomansing was born in Port-of-Spain, Trinidad in 1961. He grew up in Sackville, New Brunswick and is a graduate of Mount Alison Law School and Dalhousie Law School. One thing I didn't know about him, which I discovered in a posting on Facebook, is that Ian designed the board game Big League Manager, the NHL General Manager Game. The idea came to him years ago while living in New Brunswick. 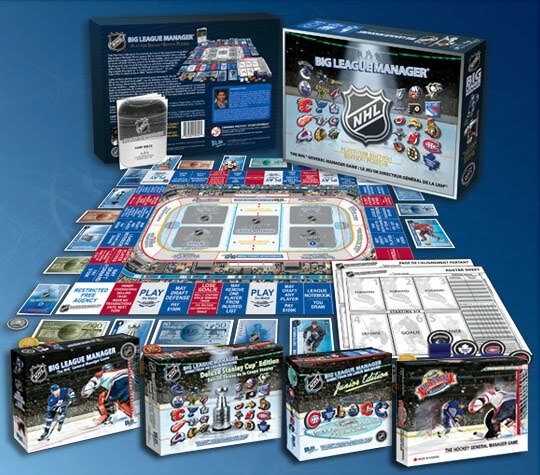 The board game was eventually developed and hit the market in 2005. It received a Best Bet Award from the Canadian Toy Testing Council in 2008.